South Africa to take over the helm of African Union in 2020 - SABC News - Breaking news, special reports, world, business, sport coverage of all South African current events. Africa's news leader. Heads of States are meeting in Addis Ababa. President Cyril Ramaphosa will take over the helm of the African Union in 2020. This was announced at an AU Summit, currently underway in Ethiopia. The summit is being attended by various Heads of State and government who are expected to focus on issues of trade and conflict. Particular emphasis is being placed on the more than R20 million people on the continent who have been forced to flee their homes due to conflict. Secretary-General of the United Nations, António Guterres addressed the opening of the summit earlier on Sunday and told delegates that the West had much to learn from African leaders in the treatment of refugees. He says Africa has kept its borders open to millions of displaced people, despite its limited resources. Guterres has also expressed optimism over peace efforts across the continent and paid tribute to the new reformist Ethiopian Prime Minister. 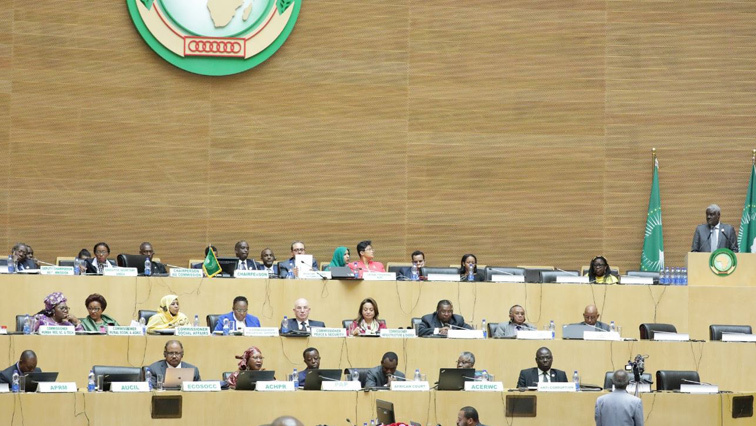 Meanwhile, Egypt’s President Abdel Fattah el-Sisi has taken over the chairmanship of the African Union with a pledge to continue with institutional, structural and financial reforms that Rwanda’s President Paul Kagame started. El-Sisi outlined the objectives for his tenure, which will mainly be peace, security and reconstruction of countries torn apart by conflict. While handing over, Kagame announced that the continental body was closer to financial independence with 85 million-dollars in the Peace Fund – a contribution made by 49 member states. Six years since the continental body suspended Egypt following a military coup, its President Abdel Fattah al-Sisi assumed its chairmanship. Al- Sisi’s term will focus on security and peacekeeping. He also urged African Heads of State to consider a fund to reconstruct countries battered by conflict as one way of encouraging refugees to return to their homes. To boost his agenda, he announced a peace forum in Egypt later in the year. The AU theme for this year is “Refugees, returnees and internally Displaced Persons”. This entry was posted on 10 Feb 2019,05:53PM at 5:53 PM and is filed under Africa, Homepage Featured Story Slider. You can follow any responses to this entry through the RSS 2.0 feed. Both comments and pings are currently closed.